Horror film is a film genre which features scary characters such as vampires, werewolves, witches, monsters, aliens and evil creatures. Horror films typically focus on the power struggles of good versus evil on some level. The evil often is portrayed as zombies, vampires, monsters or alien creatures. The struggle of man to survive against the threat of evil is usually a core theme within such films. ScaryReview provides in-depth information on current, well known horror flicks. Comprehensive horror movie reviews are our specialty. 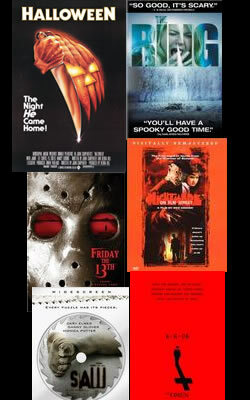 Certain movies featured are considered legendary in the horror movie industry.